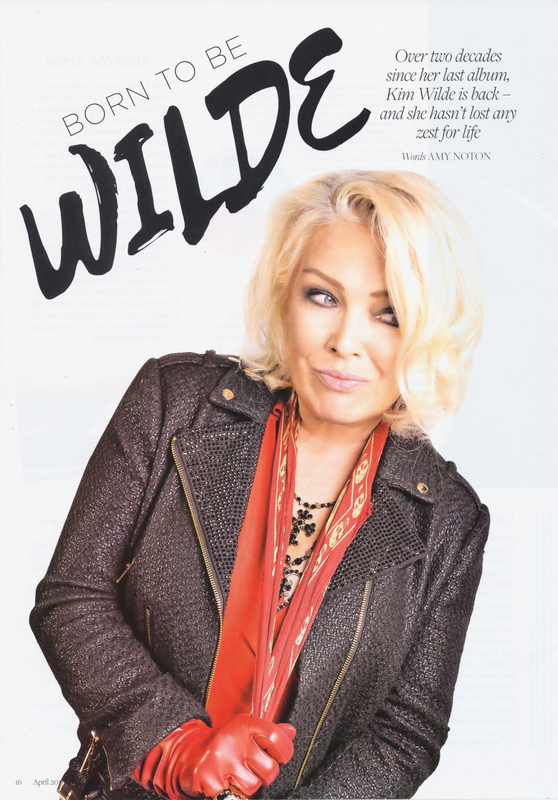 More than two decades since her last album, Kim Wilde is back - and Amy Noton discovers she hasn't lost any zest for life. Boasting 25 singles in the UK charts between 1981 and 1996, Kim Wilde has had more success than most artists in the music business - her catchy debut song 'Kids in America' will be ringing in our ears for decades to come. Now, 37 years after her first hit single catapulted her to stardom, Kim has just released her 14th studio album, Here Come The Aliens, and she is about to head out on a 19-date UK tour. "It's the first album I've released in the UK since I got married in 1996", says Kim, who is the oldest of four children of veteran singer Marty Wilde and his wife Joyce. Marty recently celebrated 60 years in the music industry and played shows at Ipswich Regent Theatre and Pontins Pakefield last year. Kim, who will be kicking off her UK tour at Ipswich on March 30, says: “I’ve had a kind of dual career, writing, recording and releasing music in Germany, Austria and Holland. It’s been quite nice to just get on with life over here, but now I feel brave enough to put my head above the parapet again. The album, which was released on March 16, was recorded at the legendary RAK studios in London, and features 12 tracks, including a duet with Swedish star Frida Sundemo. The songs – including the fabulous ‘Kandy Krush’ – offer a blend of fresh-sounding pop with a 1980s twist. “The new album has lots of ’80s flavours and sounds,” says Kim, who has sold more than 30 million records worldwide. “I’m still working with my brother, Ricky, who’s a producer of the album and the co-writer for most of it, so there’s a musical thread that’s been there from the very beginning. We still love pop music, we love playing live and the tour just brings all of that together - the past and the present. The success of her first single was followed with hits including ‘Chequered Love’, ‘Cambodia’, ‘You Keep Me Hangin’ On’ (number one in the USA), ‘You Came’ and ‘Four Letter Word’. Kim won a Brit Award for Best British Female in 1983, toured with Michael Jackson in 1988, saw her album ‘Close’ go platinum, and appeared as special guest of David Bowie during his 1990 tour. She delighted Norfolk audiences with her performance as part of the retro festival at Earlham Park in Norwich last June, with fellow 1980s stars Tony Hadley of Spandau Ballet, Bananarama, Howard Jones and Midge Ure, and has also played Blickling Hall. But Kim’s life took a different path in the late 1990s when she reinvented herself as an awardwinning horticulturalist - partly so she could spend quality time with her actor husband, Hal Fowler, who she had met when they were in the musical Tommy, and their children, Harry and Rose. Appearances in a series of 1980s revival shows kept Kim’s love of performing alive and it was the British public’s positive response that encouraged her to release the album. “I love performing, songwriting, singing, all the same things I loved doing back in the ’80s, except I love them a little bit more now,” says Kim. “I think part of that is the confidence that comes with age. We’re at a point in our career where it doesn’t matter if our album goes to number one or number 100, it’s not going to materially change what we do. We’ll carry on writing, we’ll carry on performing.